28.02.2015. Leicester, England. Aviva Premiership. 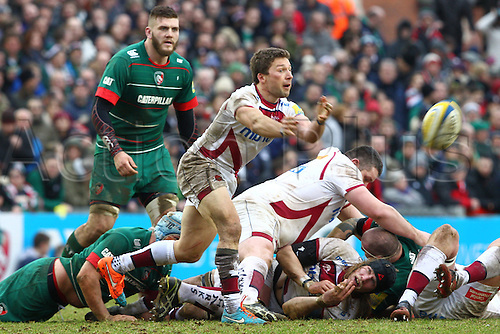 Leicester Tigers versus Sale Sharks. Scrum-half Chris Cusiter passes along the line.